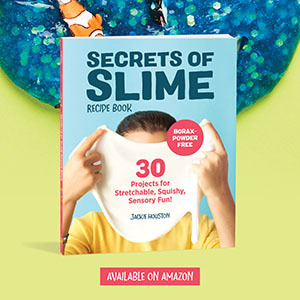 The is a sponsored post in partnership with Pittsburgh Zoo & PPG Aquarium and The Motherhood. Pittsburgh has such an amazing network of museums and attractions for kids. You’ll hear about them from everyone you ask. I have friends that even drive in from Ohio just to visit our zoo! I truly believe this is one of Pittsburgh’s best assets. My tip is to get the annual membership, it’s so worth it! 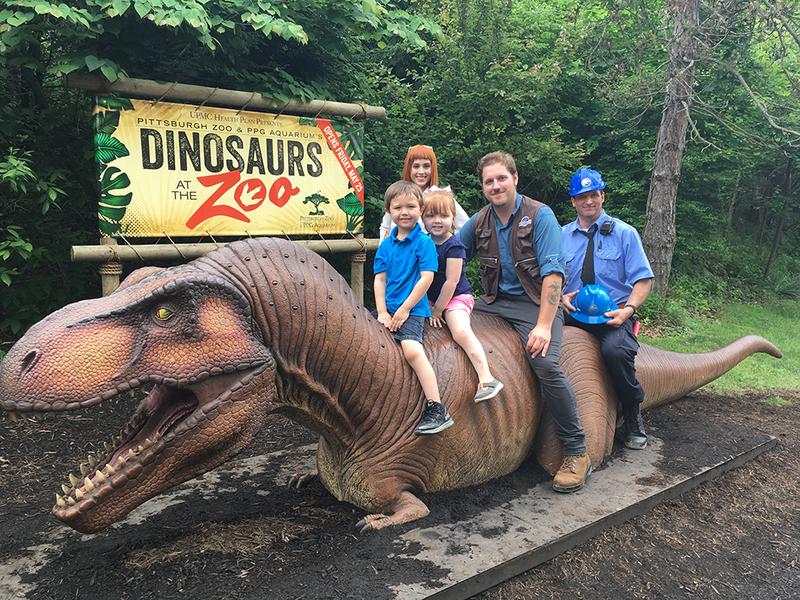 My kids received a Pittsburgh Zoo membership this year for Christmas and have been anxiously waiting for May 25th and the opening of the Dinosaurs At The Zoo exhibit! The exhibit runs from May 25th to September 3rd, so catch’em before they disappear again! Click here for more information on the exhibit and enter our giveaway for a chance to win two zoo tickets at the end of this post! We were surprised to see some new dinosaurs added and even some special guests from the Jurassic Park movies. 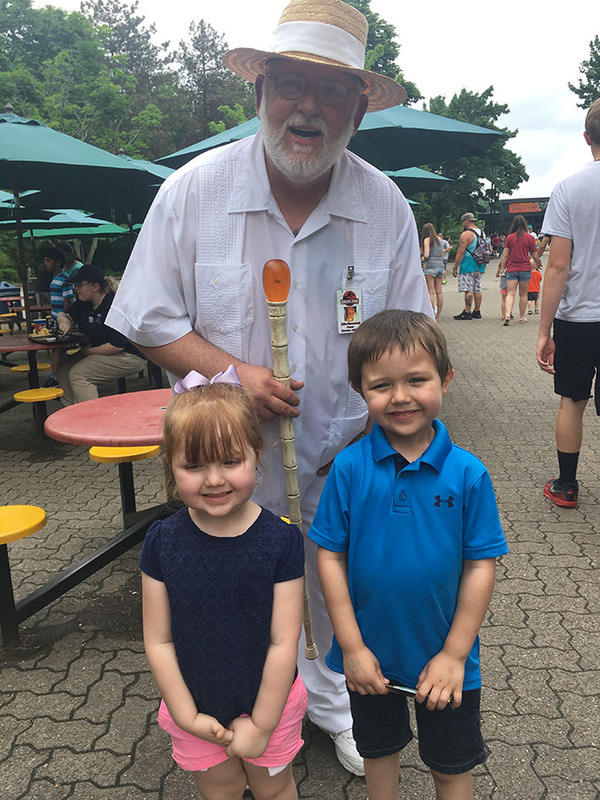 My son was such a super fan, he loves the movies and had us hunting through the exhibit just to find John Hammond who is his favorite character (and because he wanted to see his amber walking stick). One thing you won’t see is a boring lineup of plastic figurines. These dinosaurs featured look and even sound SO lifelike. From the way the dinosaurs move, their sounds, and even the vegetation will have you feeling like your in Jurassic Park. The kids thought they were the real deal until we had to explain that they were all robotic. There’s so much detail put into each of the dinosaurs in the exhibit. One of the new ones even show a dinosaur eating his prey, fake blood and all! 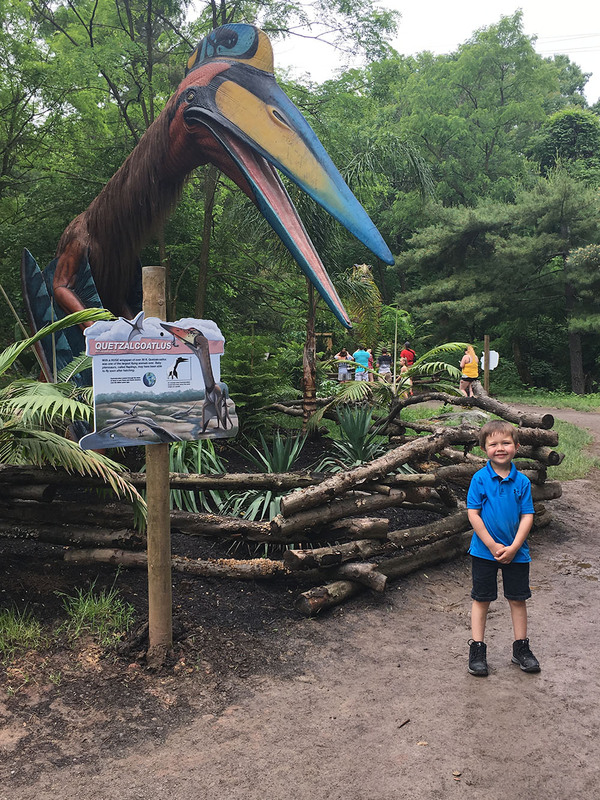 Just to give you an idea on how huge and life-like these dinosaurs are, here’s a picture of my son with a Quetzalcoatlus. I had no idea they were this huge! There were also a lot of hands-on educational opportunities for the kids. 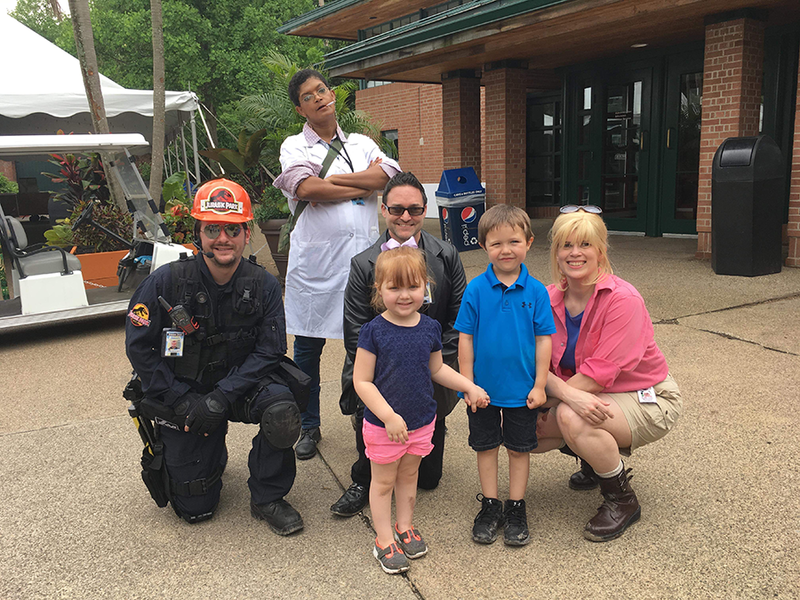 We got to meet a few zoo-educators that were on-site and a Dino Dig area where kids could be like real paleontologists and brush off fossil displays. And of course, we couldn’t leave the exhibit without finding John Hammond! All of the actors were so spot-on! Open daily from 9:30 a.m – 5:30 p.m. Please Note: This exhibit may not be suitable for all audiences. The animatronic dinosaurs are intended to appear realistic and provide a sensory experience, which includes movement, loud sounds, spraying water, and scenes that contain some blood. Win 2 tickets to the Pittsburgh Zoo & PPG Aquarium! The giveaway will run from today until June 16th. 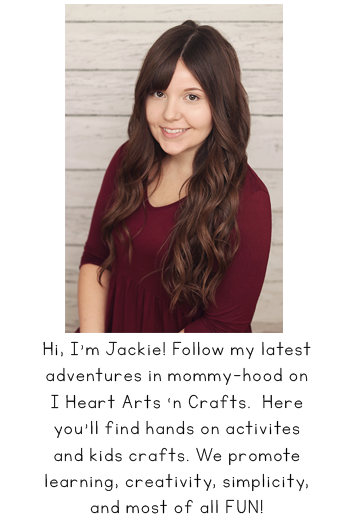 Winner will be notified on June 16th and must provide mailing address for tickets.